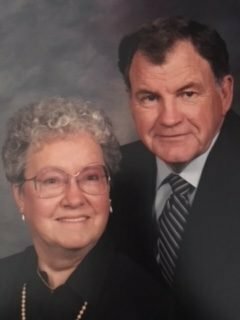 Elizabeth Ann Catlett, 81, of Southaven, Mississippi, passed away January 9, 2018 at Baptist Memorial Hospital-Desoto. Elizabeth was born on August 14, 1936 in Memphis, TN to her parents Herbert Eugene and Lynnwood Elizabeth Cathey. She was a member of the formerly named United Methodist on Getwell Road. Elizabeth survived by her son, Richard Catlett; three daughters, Linda Busby, Susan Eubanks, and Sherri Richardson; 11 grandchildren; 14 great-grandchildren. She was preceded in death by her husband, Wilson Catlett and her sister, Mary Jean Gilliand. A private family visitation will take place on January 12, 2018 from 1:00-1:30 P.M. with a funeral service 1:30-2:00 P.M. following at Twin Oaks Memorial Gardens and Funeral Home in Southaven, Mississippi. So sorry that I didn’t get to say goodbye. Give Jr. and Hugh a big hug and kiss for us, because I know you are all up there together. With our deepest sympathy, so sorry to hear of this gut wrenching news. We love you Aunt Ann, rest in peace with Uncle Junior. We are so very sorry to loose this wonderful lady. However, Heaven will be singing praises.